The Orwells are a five piece rock band hailing from the suburbs of Chicago, IL. This group of recent high school graduates play stripped down rock tunes with garage and punk influences, barely walking on the cusp of aforementioned genres. 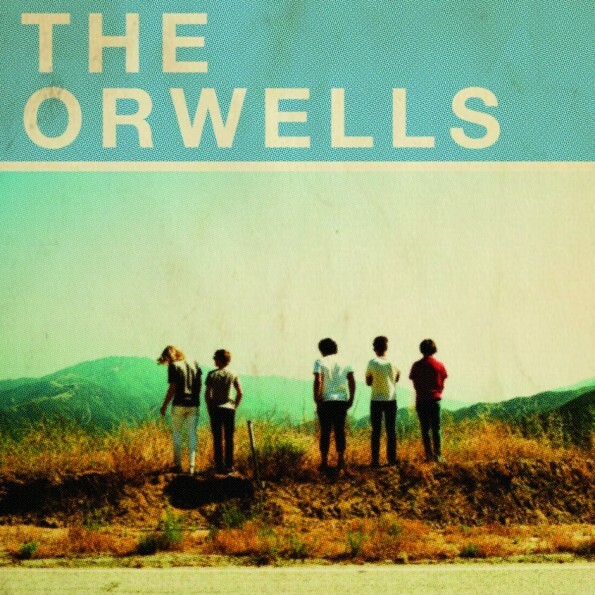 The 4 song EP, is a fair assessment of what The Orwells are all about. Opening/title track “Other Voices” is a frenetic pace of a song, barely giving the listener a moment to process the song, before you start “slipping in and tripping out.” “Head,” shows off their lo-fi garage rock stylings similar to the sound White Fence have perfected. The only difference is the tempo and underlying build up that hides behind each track. This sentiment leaves the listener feeling a bit uneasy, not sure if the song will burst into the sound of buzzing guitars and crashing drums. Oddly this is what makes The Orwells so appealing teasing the listener and delivering just enough to not overwhelm but leave a more satisfying presence (if that make any sense). On closing song “Mallrats,” the band delivers, ending the release on a high note with a thrashy fast paced song.